I come to you with wonderful news from near the Middle East! These people will continue to be connected to the local churches in the area to begin the discipleship process. 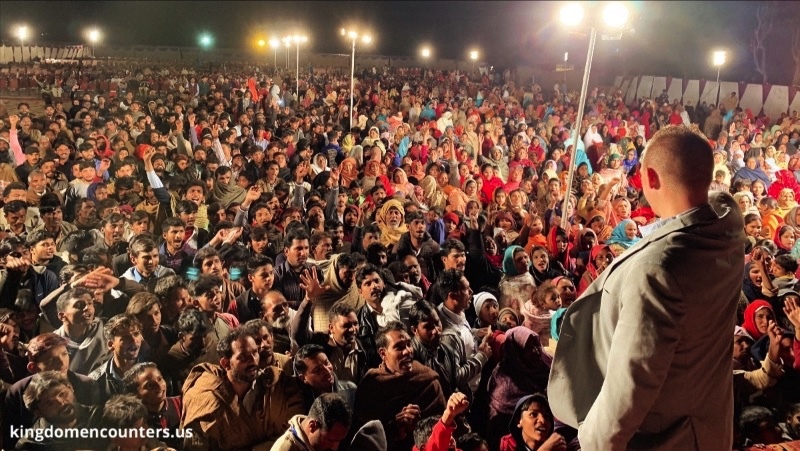 While in the nation, we held pastor and leader conferences for over 650 people. Some of these very people will plant churches in the participating villages of the campaign. The results of this campaign will continue to affect thousands of families in villages across this nation. May the Lord bless you richly. THANK YOU FOR SENDING US! Heaven is rejoicing! In the next month and half, I will continue ministry across various places in the United States. I want to personally invite you to join Harmonee and myself on April 27th, 2019 in Orlando for our upcoming Vision Breakfast. We want to personally shake your hand, and pray for you as we cast vision about what God is doing in the nations! You can register to join us here. We are also excited to announce our very first conference with KEI. AWAKENING is coming to central Florida on May 25th. Join me and a host of other speakers! This one day conference is for anyone who’s been hungry for encounter with the Lord and for anyone who knows there’s more! To reserve your seat, click here. Our next international Gospel campaign is in the Philippines this coming June. Our team is already on the ground in preparation. Please pray for us for favor with the local city, government, and religious leaders who are assisting in mobilizing the local churches. Pray for God to send his angels on assignment. We are praying for thousands of people to make their way into the Kingdom of God this June! TO BECOME A MONTHLY PARTNER, OR TO INVEST INTO THIS UPCOMING GOSPEL CAMPAIGN, CLICK HERE. 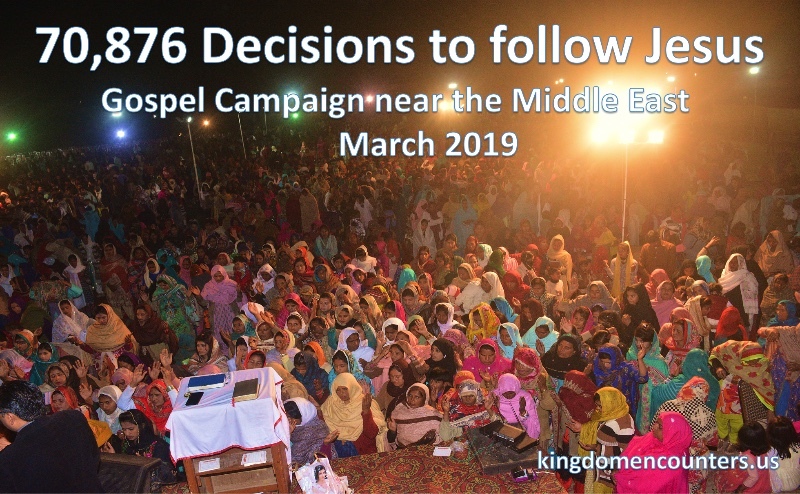 We are praying for the Lord to prompt churches, businesses, and people to sow the remaining $170,000 to fund God’s vision for KEI in 2019. • God to raise up 24/7 prayer partners to commit to lifting up KEI in 24/7 prayer to the Lord. We still have needs for 14 more 1 hour prayer slots for: 12am? 1am? 2am? 3am? 10am? 11am? 12pm? 1pm? 2pm? 4pm? 7pm? 8pm? 9pm? 10pm? • For funds to hire a full-time media staff and a full-time personal assistant. For the Lord to prepare the people He’s selected for these positions. • New levels of encounter with Jesus! • For the preparation of our Orlando Vision Breakfast coming this April. To attend, click here. • For housing to open up for the Smith family. They will be relocating to Florida in May pending favor in open housing. • For the Lord to prepare the hearts of those who will be attending our very first team evangelism trip to Leticia, Colombia this October. For more information or to apply, click here. • For God to send underwriters to fund our crusade vision, family, and staff needs. 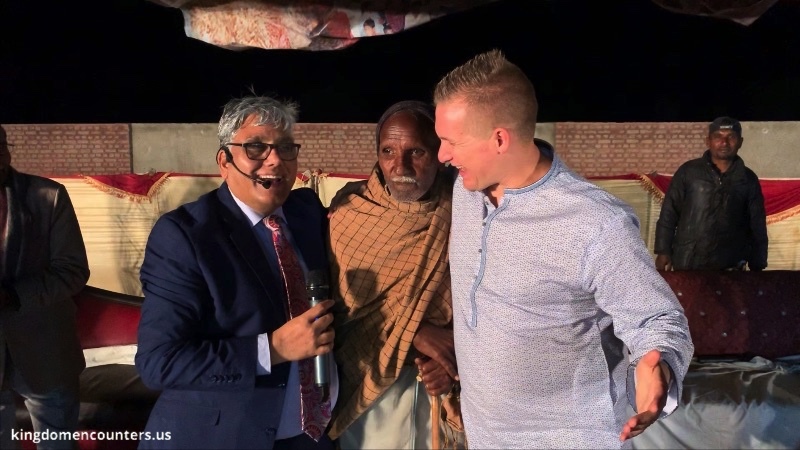 • The $170,000 to be released to fund the next 9 international ministry trips in 2019. Over 230,000 people will have a chance to hear the Gospel and to have a chance to encounter Jesus. To invest, click here. • For the preparation and details of our first conference, “Awakening” taking place on May 25 in Kissimmee, Florida. To register, click here. • MONTHLY FINANCIAL PARTNERS so we can steward with wisdom. To partner, click here. • Personal Request: for the retirement of our college school debt. • Personal Request: for the Lord to release the home He’s placed in our hearts for this new season. As a final reminder, we are currently accepting applications for our very first team evangelism trip to Colombia this October 2019. If you’d like to be a part, please take a moment and apply today.